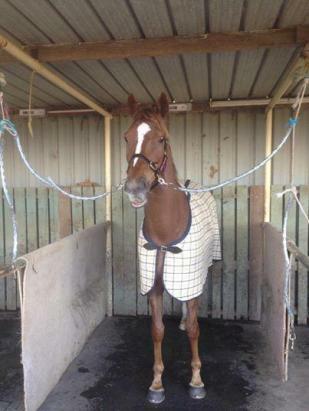 Let's Be A Star had her third run for the stable today (17/09/14) at the Mornington City meeting and won beautifully. She jumped ok and was not bustled and settled second last. She worked her way through the field and ran on strongly to score by 0.2 lengths. It was a top ride by apprentice Jackie Beriman.